Our customers can freely modify our devdas wedding mandaps to suit their requirement for a specific size. - Used in hotels, homes and other related places. Owing to our huge market knowledge, we have been able to offer our valued clients with a wide range of White Crystal Pillar. 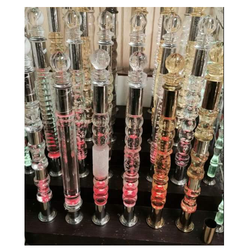 Keeping the diverse requirements of customers in mind, our company offers excellent quality array of Crystal Glass Pillar. 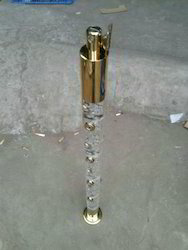 This Crystal Glass Pillar is designed by our vendors using advance machines. 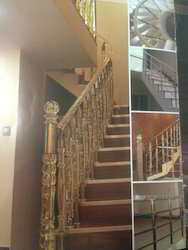 Our product range is highly appreciated amongst customers for its rugged construction and optimum finish. We are the importer and supplier of Glass Pillar. These are available in different designs and are supplied in bulk quantiyu. 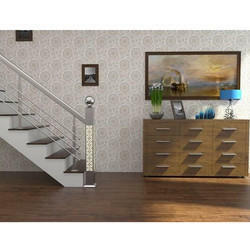 Glass pillars available in many designs.